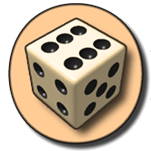 Open Yahtzee is an open-source (free) version of the classic dice game Yahtzee. Open Yahtzee is built to be OS portable, that means you can run it on many kinds of different operating systems and platforms. The portability is mainly achieved via wxWidgets which also gives Open Yahtzee a native look on each platform. Open Yahtzee is being developed by Guy Rutenberg. You can download Open Yahtzee for Windows, Linux and the source code in the Download page. There is also a portable version available which doesn't require installation. Screenshots of Open Yahtzee (on Windows and Linux) can be found in the screenshots page. See How to Play for general instruction on playing Open Yahtzee. If you have any questions, please check the FAQ page. If you have any question not answered by the FAQ, please contact me. Please use the SourceForge bug tracker to report any bugs you find or feature requests. Open Yahtzee 1.9.3 has been released. You can get the new version from the Download page. This is a bugfix release for both Windows and Linux. The new Windows build, forgoes the installer in favour of a simple zip containing the game. Just extract to play. Open Yahtzee 1.9.2 has been released. You can get the new version from the Download page. This is a bugfix release that fixes some layout bugs in Ubuntu and introduces wxWidgets-3.0 compatibility. Open Yahtzee moved to the new SourceForge project interface. As a result the git repository URL has changed, and bug tracking is back in SourceForge. Open Yahtzee 1.9.1 has been released. You can get the new version from the Download page. This new version is a bugfix release which is relevant to some Linux users. The new version is available as source tarball and binary debs. Open Yahtzee 1.9 Portable Edition has been released. This is a version of the regular game that doesn't require installation and hence can be used on things like usb stick. You can get the new version from the Download page. The new version contains all the improvements of the Open Yahtzee 1.9, and a much reduced size, just 620KB!. Open Yahtzee 1.9 has been released. You can get the new version from the Download page. The new version contains some UI tweaks and improvements that will enhance the game-play. In the inside the code has been re-factored in order to be smaller and more efficient. Open Yahtzee has reached a new download milestone: 60,000 downloads. The new Open Yahtzee website has been launched. I hope it will make it easier to find the information you seek about Open Yahtzee. Open Yahtzee 1.8.1 was released today. You can read the full release announcement here. To download the new release go to the Download page. Open Yahtzee 1.8 PE was released today. You can the full release announcement here. InfiniteTTT - Another game by me, which is a variation of tic-tac-toe played on an unbounded (infinite) board. Would you like to support the development of Open Yahtzee? Contact me for details.